Organic Oven is a great nearby student spot since it’s safe for pretty much everyone. 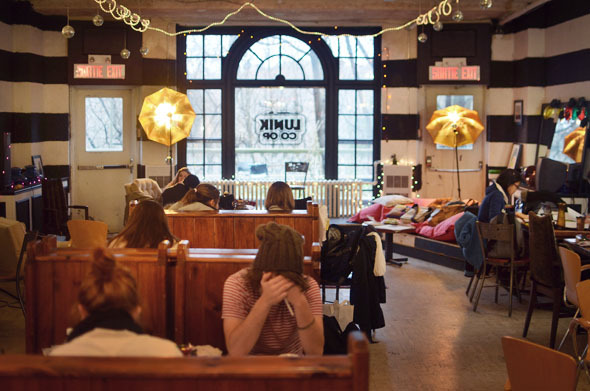 The café is nut-free, gluten-free, and has many vegan-friendly options. Along with daily-made baked goods such as cookies, cakes, and little pastries, the shop serves certified organic and fair trade coffee and soups, salads, and sandwiches.